Lettergate produces a casualty: Msgr. Viganò. Well… not quite. Lettergate has produced a casualty… another casualty, the first being the Truth. The Prefect of the Secretariate for Communications, Msgr. Dario Viganò – who so botched the the handling of the pro-Francis booklet roll out by unscrupulously slicing and dicing Benedict XVI’s letter and then weaponizing it – has resigned. The Bolletino has a declaration from the Holy See Press Office’s Greg Burke. It includes links to Viganò’s letter and Pope Francis’ response. Not content with writing just a resignation letter Viganò extends the agony with a missive of some 350 words including a review of human history, a summary of the pontificate, excerpts from Bible, a pie recipe, and a wedding toast. Seriously, all he needed was, “Your Holiness, with the present letter I submit my resignation. Thank you.” But, no. Not content with writing just “Resignation accepted”, His Holiness – who wouldn’t have been blamed for falling asleep as he read the above-mentioned – responded with 180+ of his own, in which, incredibly, he REHIRED Viganò as “Assessore” – a kind of second in command – of the same office he screwed up to the global embarrassment of the Holy See. Apparently Francis wants Viganò around so he can still “give his human and professional contribution to the new Prefect”. Some people get unceremoniously sacked. Some people get a little tap on the wrist. Not even libs like Always-Wrong Mickens knows how Viganò got his step and with what credentials, but he must have some pretty impressive skills that are deemed indispensable. Perhaps he’s a good… what?… editor? These are the mysteries of mercy. In any event, Lettergate seems to be slouching into its whimpering denouement. This entry was posted in Lighter fare, You must be joking! and tagged Dario Viganò, Lettergate, The Letter™. Bookmark the permalink. 9 Responses to Lettergate produces a casualty: Msgr. Viganò. Well… not quite. Ed Morrissey posted about this at Hot Air blog. He had a different take on it. I shared your link with him. I tend to agree with you. Father, how does one get ‘promoted’ to Monsignor, and what, officially does it give the recipient that you don’t have as a priest? A Monsignor is permitted to put LLAB-BA after his name….. Thanks to Fr. Z and commenters for info in these Lettergate posts. Well, since the Prefect has “taken a step back” and is now an Assessor, I suppose this doesn’t really qualify as the practice of “promoveatur ut amoveatur”, the “definitive abolition” of which the Holy Father has said is “essential” to the reform of the Curia. Nevertheless, the charade of Msgr. Viganò’s letter of resignation and Pope Francis’s letter accepting it, suggests that the Holy Father is not serious about applying the principles he espouses. Msgr. Viganò should have been dismissed and his attempted manipulations should have been identified for what they were. To allow him to continue in any role in the Dicastery, or anywhere else in the Curia, reflects poorly on the Pope’s judgment. I was never quite sure what “reform of the curia” meant – except that it was widely desired – which itself gave me pause. In my mind this kind of “brown nosing” and bureaucratic mumbo jumbo is exactly what should be reformed. “make your yes yes and your no no” should be a guiding principal. It doesn’t even include a pie recipe! That would have been at least useful. Pingback: Vigano, Wim Wenders and the Cool Kids Club – What's Up With Francis-Church? In the Roman Curia and diplomatic corps, one routinely becomes a Monsignor after five years service. 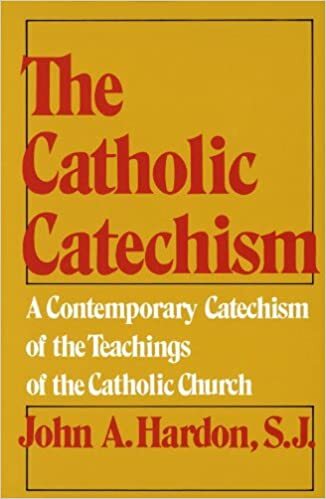 This practice was notably left untouched when the Francis restricted the honor for diocesan priests to those 65+ in the name of curtailing clerical careerism.